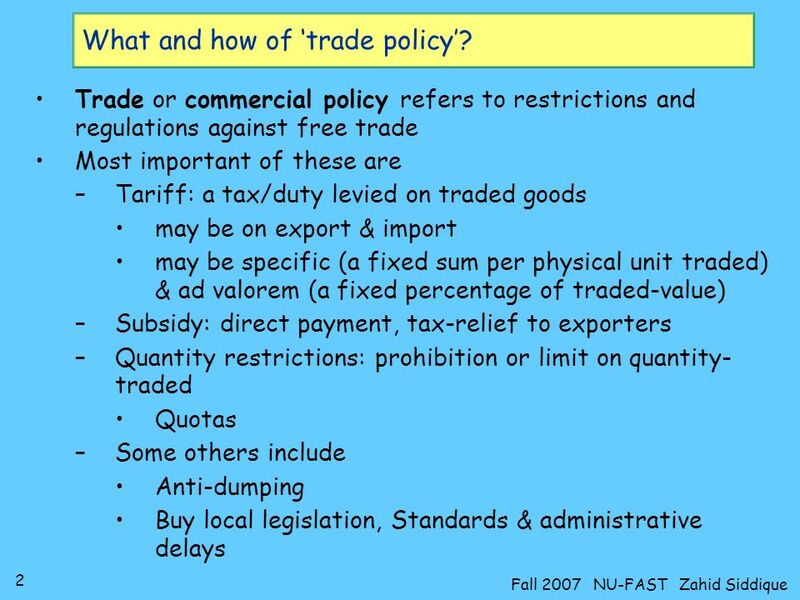 1 Lectures 23-25: Trade Policy What: instruments of trade policy How: effects of trade policy Why: arguments against free trade. 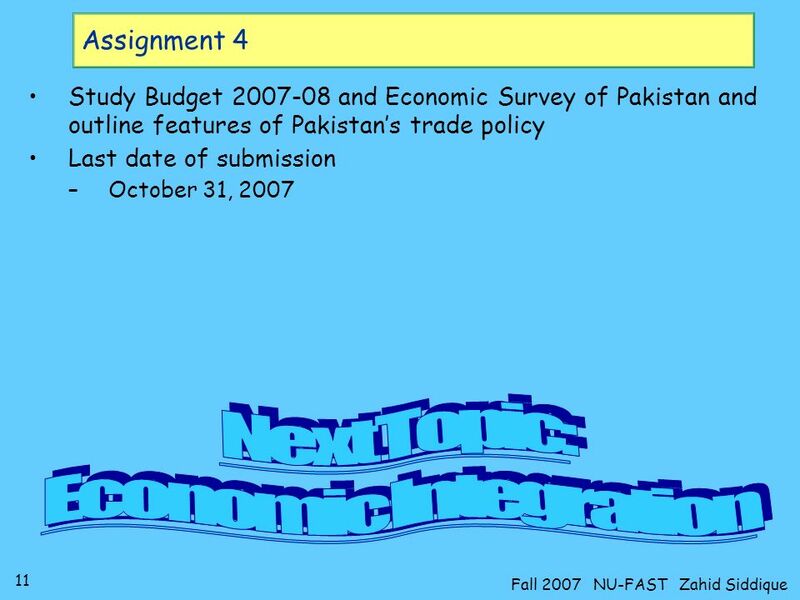 Download ppt "1 Lectures 23-25: Trade Policy What: instruments of trade policy How: effects of trade policy Why: arguments against free trade." 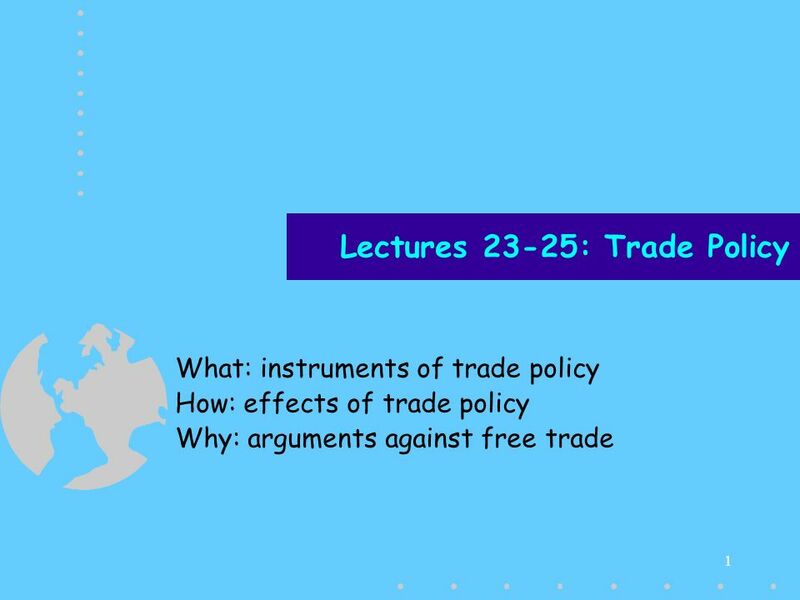 1 Lectures 23-28: Trade Policy and Integration What: instruments of trade policy How: effects of trade policy Why: arguments against free trade New: economic. 1. THE ROLE AND NATURE OF INVESTMENT Learning Objectives 1.Discuss the main arguments economists make in support of free trade. 2.Explain the determinants. 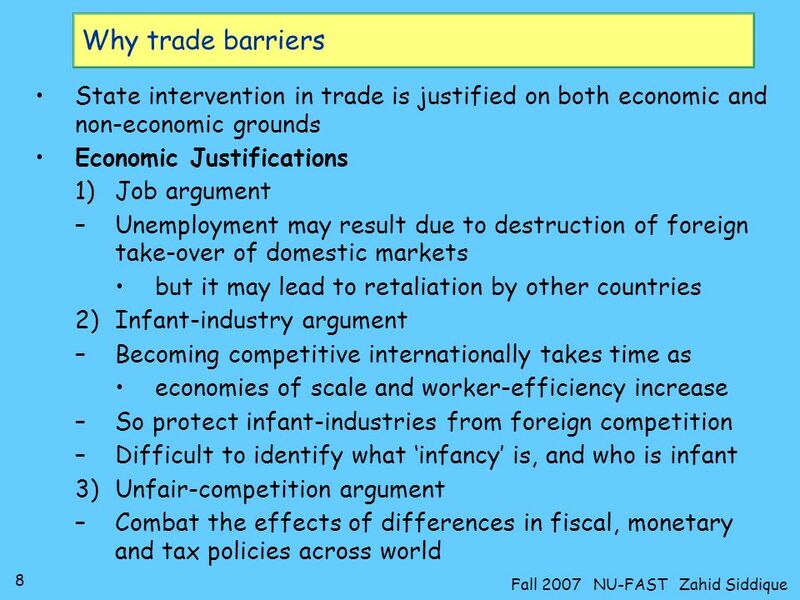 International Trade Who gains and who loses from free trade among countries? 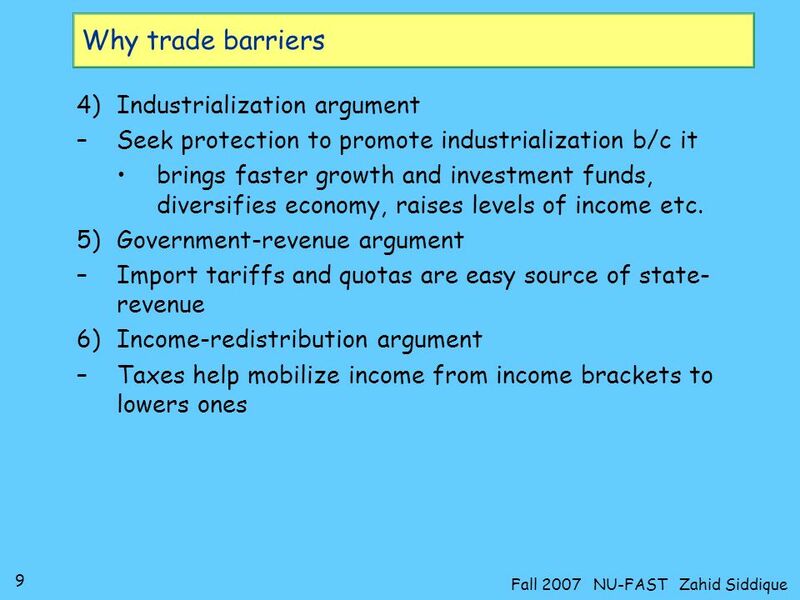 What are the arguments that people use to advocate trade restrictions? Countries. Copyright©2004 South-Western 9 Application: International Trade. 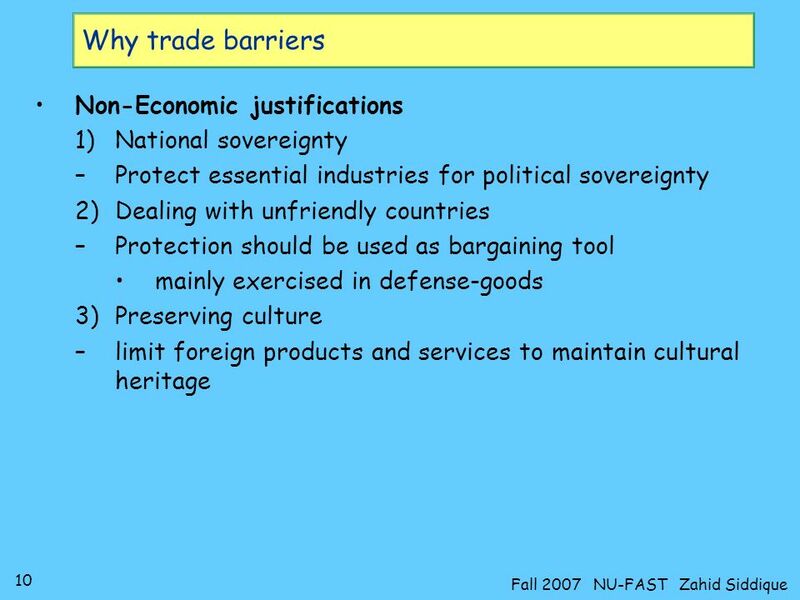 International Trade Policy Trade Restrictions: Tariffs Focuses on barriers to free trade. 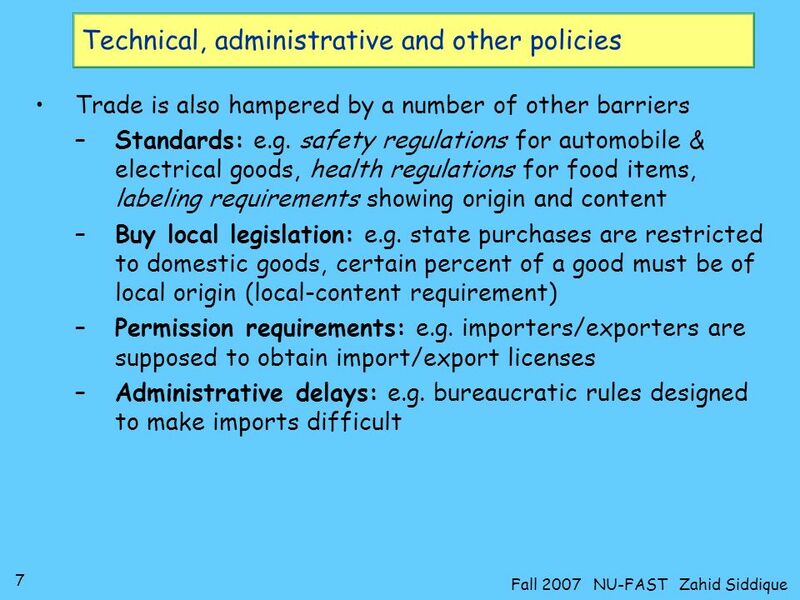 Copyright ©2002, South-Western College Publishing International Economics By Robert J. Carbaugh 8th Edition Chapter 6: Nontariff Trade Barriers. 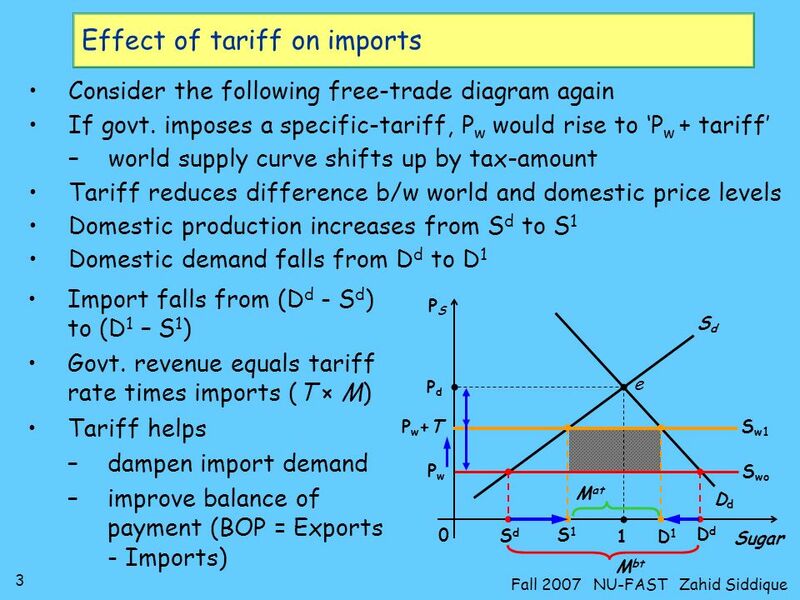 Copyright ©2004, South-Western College Publishing International Economics By Robert J. Carbaugh 9th Edition Chapter 4: Tariffs. 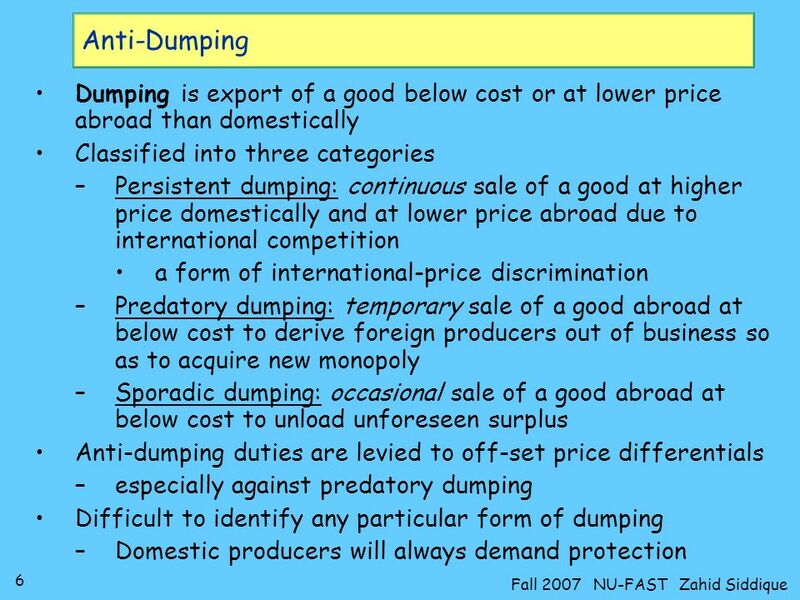 © Pilot Publishing Company Ltd Chapter 11 International Trade II --- Protectionism. 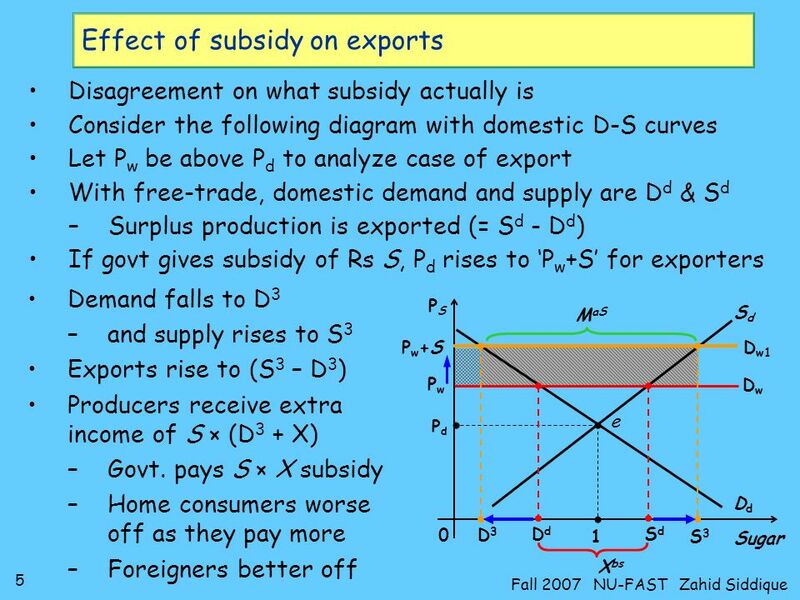 Micro Economics Unit 12 Slide 1 Created: Jan 2007 by Jim Luke. 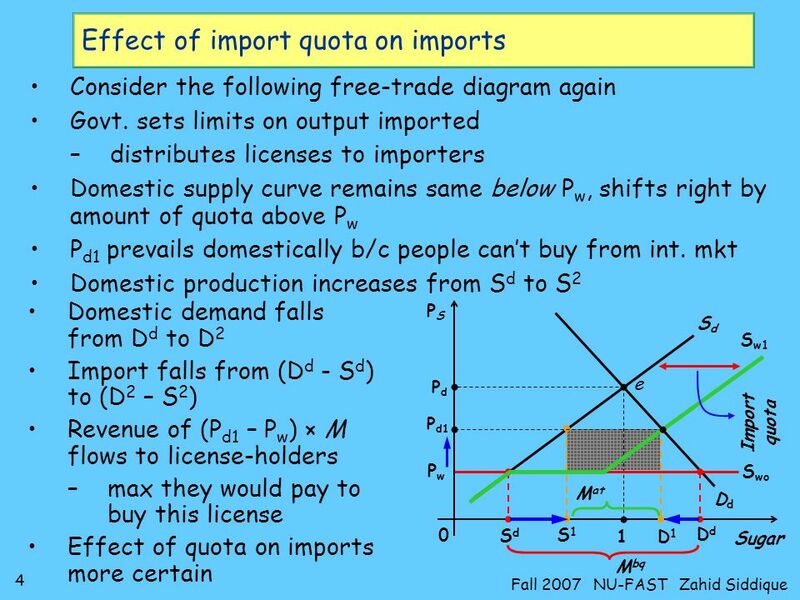 Free trade consists simply in letting people buy and sell as they want to buy and sell.